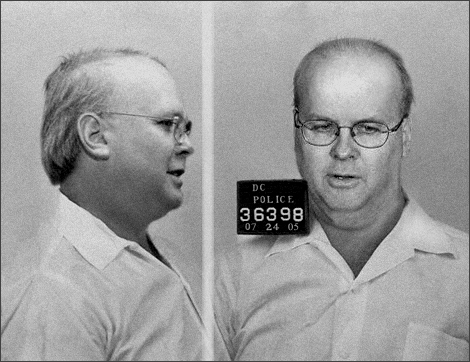 Karl Rove | Something should go here, maybe later. Far too many on the far left take seriously their own hot air about Bush and various members of his administration being evil. Rove in particular has been endowed with extraordinary powers of evil to the point where the emperor in Star Wars looks like a kiddie playing with a train set in comparison. As the years have past, this bizarre sort of mental illness has shifted further towards the center of the political mainstream – that’s well observed. Sadly, newsrooms have not been exempt from this. Good news is that, with Rove out of the white house, some people have a chance to get a quick cure for their issues without having to use one of those nice white jackets. Hm, I guess those fact checkers have plenty of time on their hands given how little they’re used in certain political stories these days. Come to think of it, given the thousands of errors uncovered in left leaning stories by right leaning blogs, and the fact that even the left is quoted as saying that Rove “works diligently with fact checkers”, shouldn’t that give some of our colleagues on the left pause for thought? Heh, the “Don’t Taze Me Bro” guy started a trend. Now, if you stand up when a conservative is speaking and start abusing, people call out “Taze Him”. But seriously, people are really getting sick of this childish nonsense. While in the past conservatives have respected liberals butting in like this (to a limited extent) after this long, we all know what you have to say, we’ve heard it, and we believe it’s wrong. We are not going to change our opinion if you scream louder. Good video, and Rove makes some telling points in very quick time before he’s interrupted. Remember how Rove was going to be indited? Far from being part of an orchestrated plot or a vast White House conspiracy, Plame’s unmasking was simply the handiwork of that Washington, D.C., staple, an insider with a big mouth. The culprit was gossip, not political gunslinging. 2. Claim arises that this is incorrect, and that the president was told it was incorrect. 3. This claim is traced back to an American diplomat. 4. His source turns out to be his wife, a CIA agent who may have been undercover. 6. VP’s Chief of Staff is indicted as the guy who originally spilt the beans, he claims he just confirmed what was already known. 7. Left makes this a big conspiracy, constant reports Rove himself is about to be indicted. He never was. 8. Turns out that said CIA agent’s code name was listed in “Who’s Who”. Oops. 9. Then turns out that some idiot who’s not really in the Bush inner circle and no longer works for the White house blurted out the name accidentally. 10. Media suddenly decides the whole thing is actually too complicated and stops reporting. That’s my understanding anyway. Wikipedia has an article for the so inclined. Maybe I’ll read it sometime.